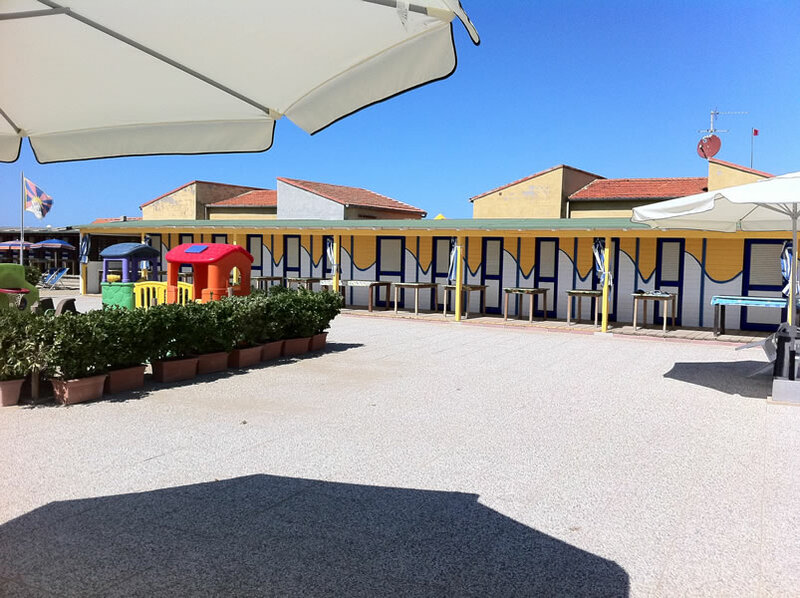 Always in line with the traditions of Marina di Pisa, with a special care for innovation in order to constantly upgrade our customer’s comfort, the Bagno Azzurro is an oasis of fun and relax. 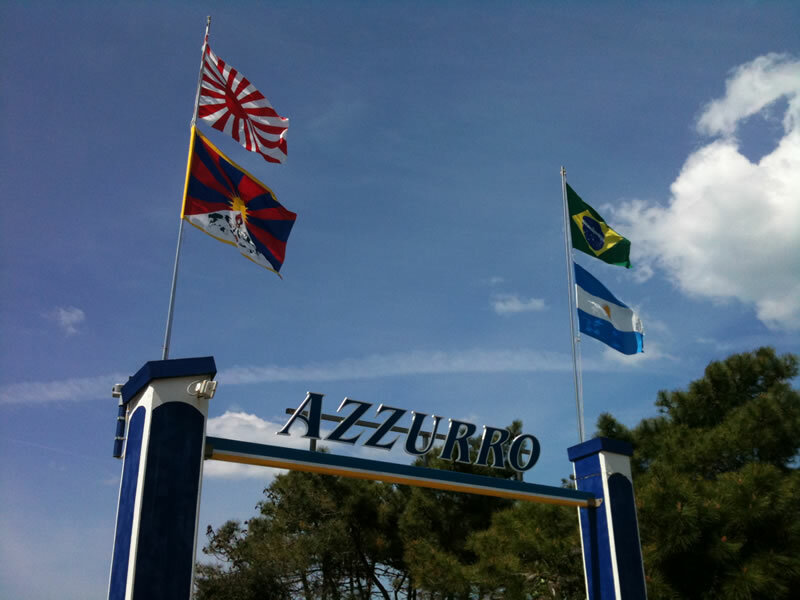 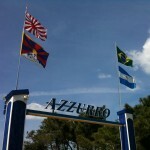 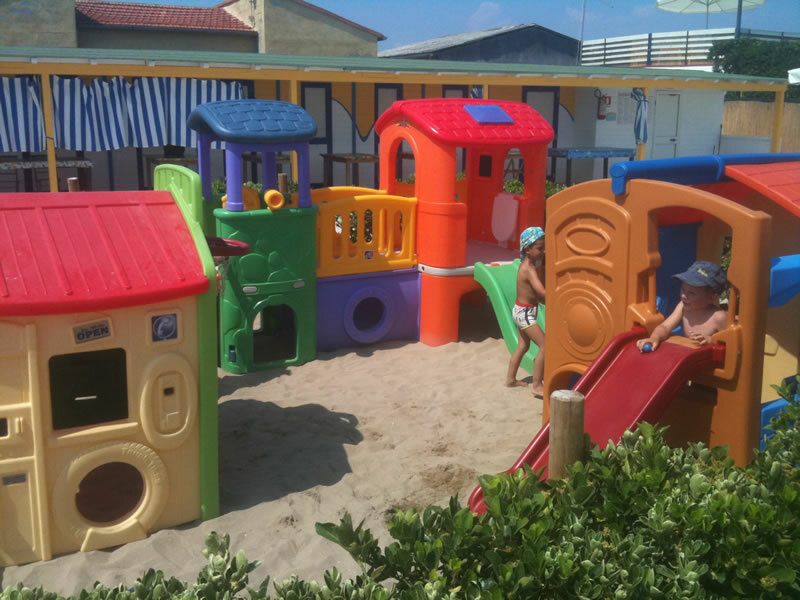 Bagno Azzurro resort is always ready to welcome guests of all ages and to meet the needs of the family with children, young couples or group of friends looking for fun. 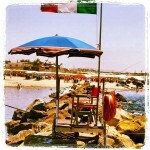 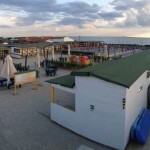 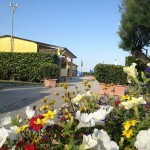 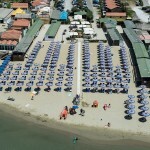 In the heart of Tuscany coast, right in front of the seaside you can still keep connected to your world with our free Wi-Fi service. 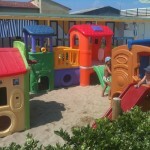 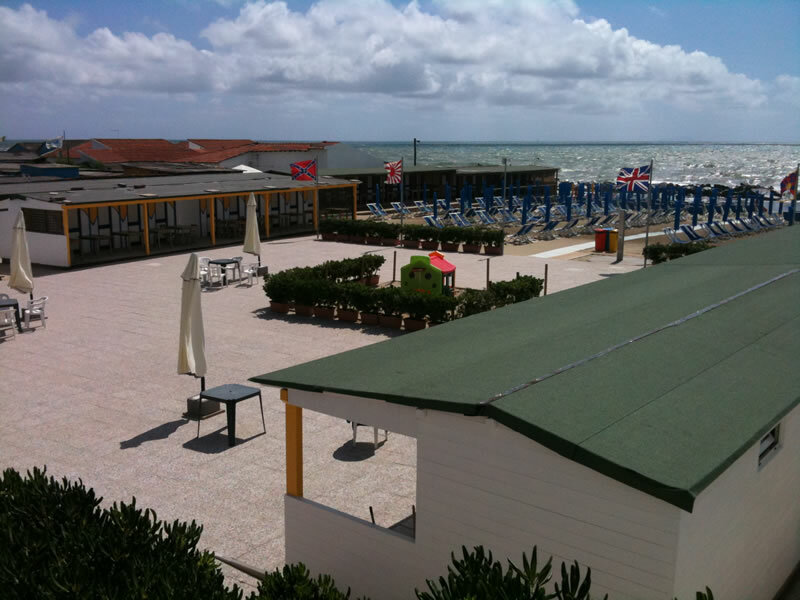 Managed by the family Carnevali since a long time and recently renovated, the resort pays close attention to the optimal reception of young guests: Bagno Azzurro boasts two safe play areas, located in the central square and on the beach, close to the seaside. 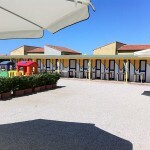 The resort is ideal for parents who want to entertain their children within a play area that can combine leisure with the tranquility of all family, who can enjoy the relax offered by our wide areas, enjoying a book, or one of our fantastic cocktail bar, while taking care at your own children. 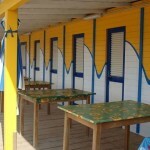 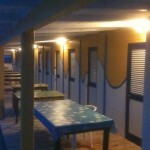 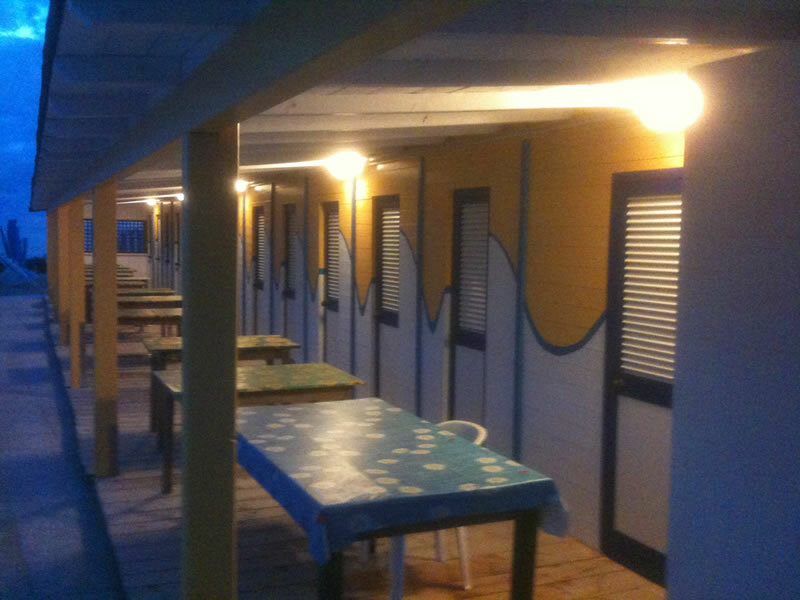 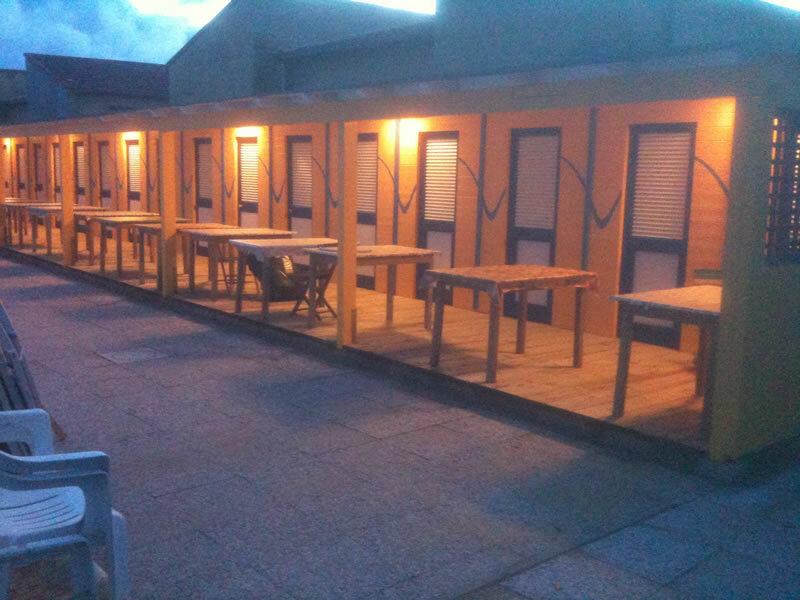 Entirely renovated recently, the cabins of the Bagno Azzurro all have a table with six chairs: as local tradition requires, our customers love to stay at their cabin until late night, to taste, with friends, the cool evenings just a few steps from the sea, chilling out, laughtering and playing cards. 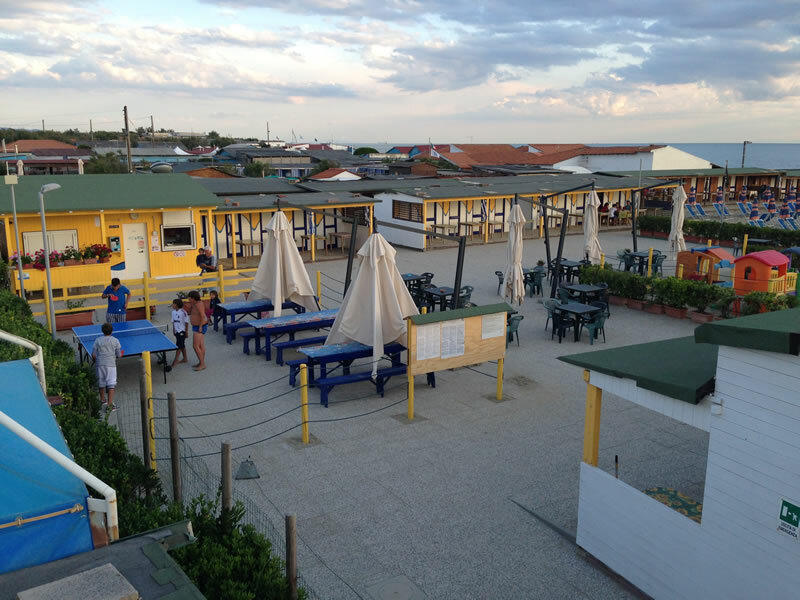 Last but not least, Bagno Azzurro provides an excellent restaurant service: at lunch and at dinner, you can eat at the table, choosing appetizers, first and second courses or maybe one of our delicious pizzas which, season after season, represent one of the highlights of our establishment. 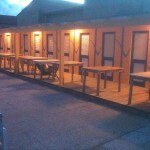 Take-away service available. 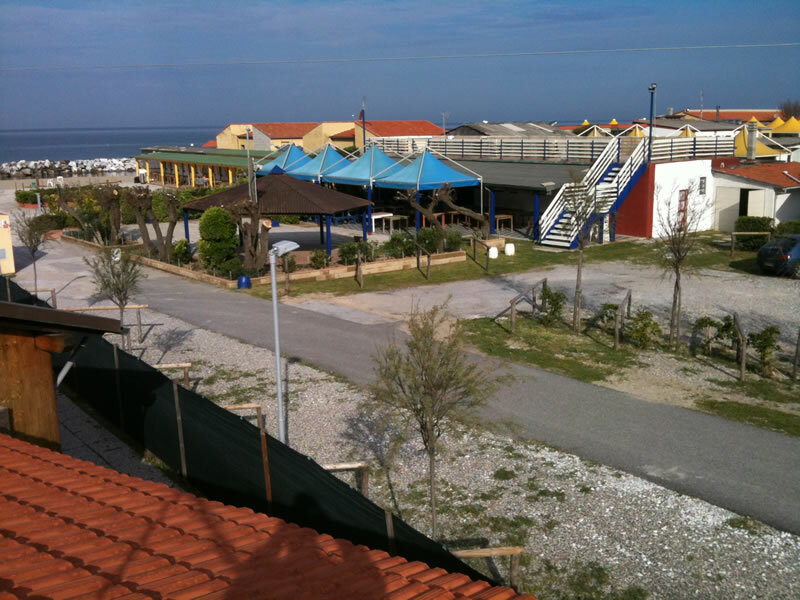 The cliff facing our seaside, while opening to the sea through large outlets that can guarantee an optimal water exchange, in many places it forms a natural pool. 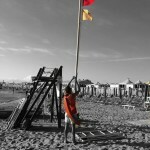 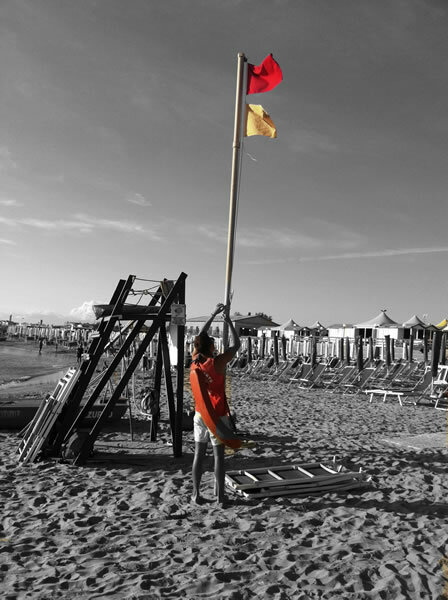 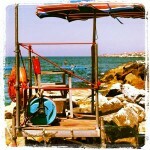 Safety of our customers is guaranteed by our professional lifeguards. 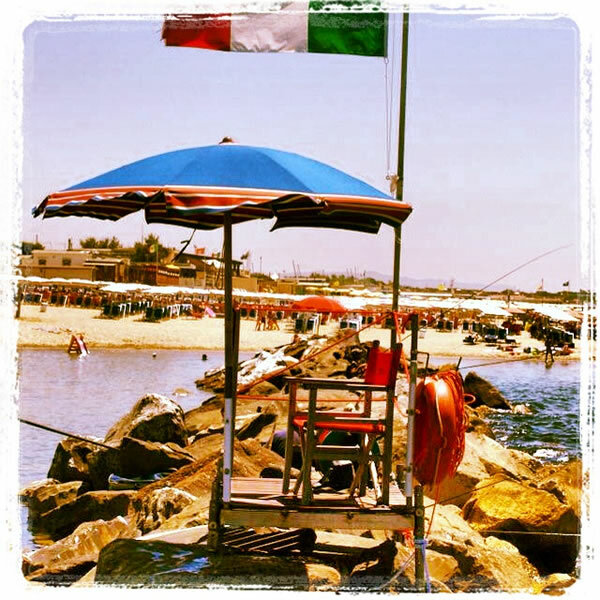 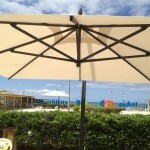 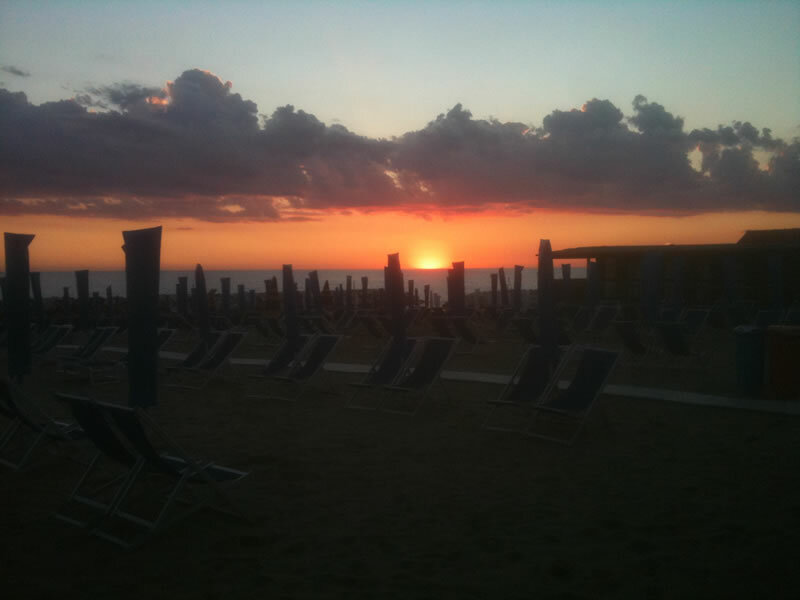 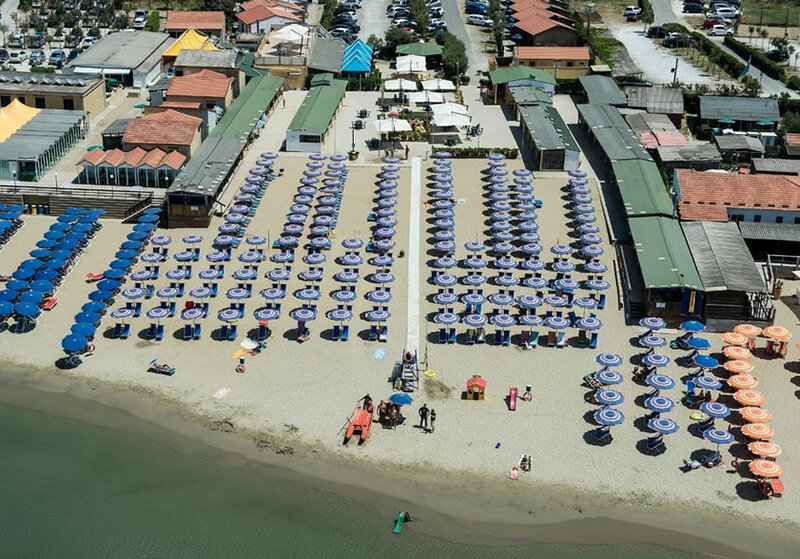 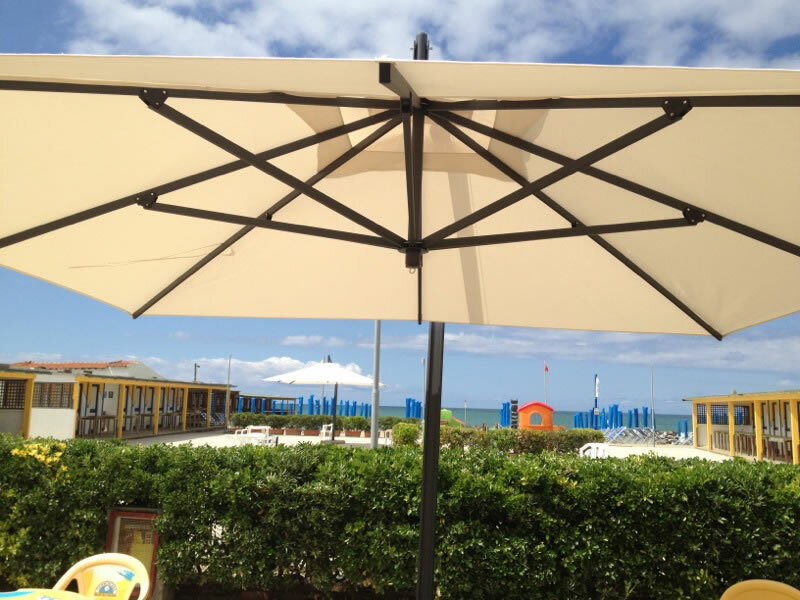 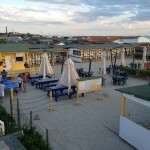 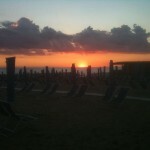 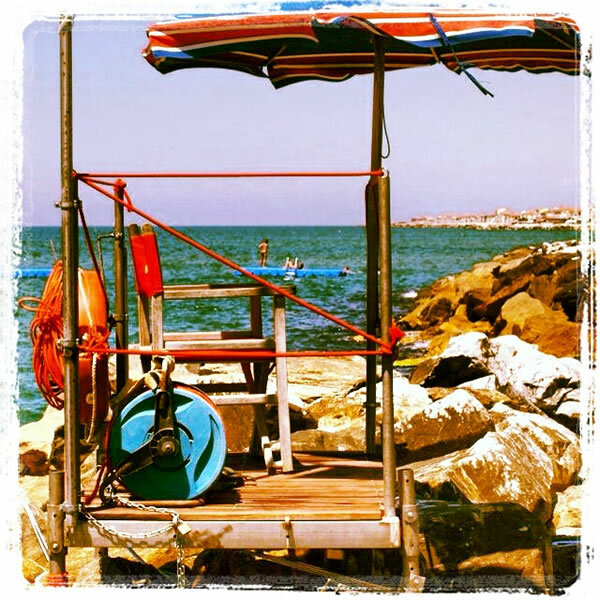 On the beach of Bagno Azzurro we have a wide range of comforts: beach umbrellas and several type of chairs and sunbeds, to fit every guest need. 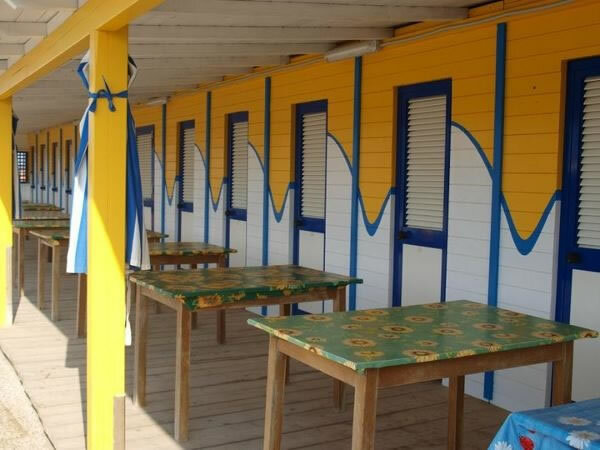 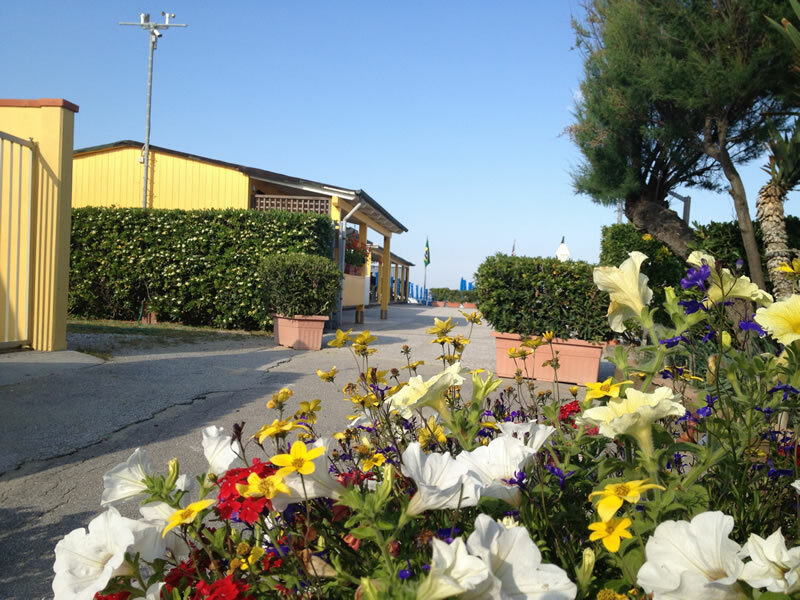 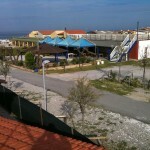 Our Chalet are the best choice for those who want to enjoy a fulfilling experience on the coast of Marina di Pisa: Ten comfortable apartments within the Bagno Azzurro resort, equipped with all the facilities you can find home but a few steps from the seaside. 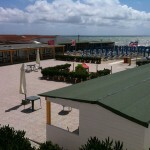 The Bagno Azzurro takes care of their guests wellness as well as to preserve the environment.